Victor H. McConnell, MAI, ASA, CRE is a director in VMG Health’s Real Estate Services division and is based in the Denver office. He has real property valuation & consulting experience in 42 of the United States, including extensive experience with the valuation of healthcare related properties. Mr. McConnell has provided Fair Market Value and Fair Market Rent analyses to a variety of hospitals, physician groups, for-profit and non-profit health systems, as well as corporate and governmental clients. Mr. McConnell has also provided appraisals and valuation-related consulting services to REITs, lenders, and private equity firms to assist with risk assessment and due diligence. He also has experience with issuing commercial reasonableness opinions and is well versed in the regulatory nuances specific to the healthcare real estate sector. Consulting services performed by Mr. McConnell include constructing frameworks to assist with leasing compliance programs as well as profits distribution between equity partners in new developments. Specific property types which Mr. McConnell has analyzed include acute care hospitals, cancer clinics, on- and off-campus medical office buildings (MOBs), ambulatory surgery centers (ASCs), diagnostic imaging centers, dialysis facilities, proton therapy centers, sleep labs, cath labs, skilled nursing facilities (SNFs), biomanufacturing facilities, surgical hospitals, LTACHs, psychiatric facilities, hospice wings, laboratories, and drugstores. Mr. McConnell’s valuation experience also includes “zero cash flow” properties, corporate headquarters, and a variety of other commercial assets. 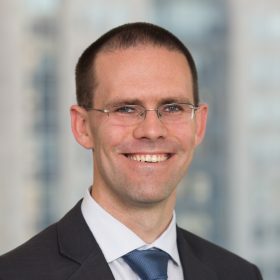 Mr. McConnell graduated from Dartmouth College in 2004 and began his valuation career with a boutique commercial real estate firm in 2006. He has an MAI designation from the Appraisal Institute, an ASA designation from the American Society of Appraisers, and a CRE designation from the Counselors of Real Estate. Mr. McConnell presents regularly at healthcare real estate industry conferences, and was selected as an Emerging Leader in Healthcare Real Estate in November 2015 by Globe Street. He has published in venues such as AHLA, ABA, and Becker’s Hospital Review. Clients served include six of the ten largest for-profit health systems and seven of the fifteen largest non-profit health systems. “The Evolving Healthcare Real Estate Market: Finding Value in the Midst of Changing Paradigms”, Moderator, Healthcare Dealmaker’s Conference, 05/17/18, Dallas, TX. “Healthcare Lending Forum: Using Healthcare Appraisals”, Panelist, Risk Management Association. 3/21/18, Houston, TX. “Leasing, Construction, & Investment Outlook”, Panelist, Bisnow, Big South Healthcare. 2/6/18, Houston, TX. “New Developments & Investments in Healthcare”. Moderator, Bisnow, State of Denver Healthcare. 11/30/17, Denver, CO.
“Navigating Hospital in Hospital Leasing Arrangements: LTACH, SNF, Rehab, Behavioral Health, and Hospice”. Strafford Webinars, July 25, 2017. “Healthcare Real Estate: Current Trends, Opportunities, & Outlook”, Moderator, Healthcare Dealmaker’s Conference, 05/18/17, Dallas, TX. “Will Market Uncertainty and Interest Rate Creep Lead to Slower Velocity and Rising Cap Rates in the Investment Market?”, Panelist, Interface Healthcare Real Estate West, March 8, 2017, Los Angeles, California. “Financing for & Investment in the NE Healthcare Real Estate and Medical Facilities Marketplace: Analysis of Presidential Election Uncertainty & the Impact of Interest Rate Hikes on the Industry”, Moderator, CAPRE 6th Annual Greater NY Healthcare Real Estate Summit, 01/31/17, New York, NY. “Real Estate: Stark & Anti-Kickback Compliance and Real Estate Leasing Issues,” Presenter, HFMA Legal Issues Seminar, Dec. 13, 2016, Chicago, IL. “Buying & Selling ASC Real Estate,” Presenter, Washington Ambulatory Surgery Center Association’s ASC Symposium, June 23, 2016, Seattle, WA. “Emerging Leader in Healthcare Real Estate”, Selected by Real Estate Forum Magazine, Vol. 70, Num. 9, November 2015. “Overview of Three Approaches to Value”, Instructor, Appraisal Review Board (ARB) Education, Texas Comptroller’s Office. 2016, 2017, & 2018.